Donté Panlin, the Pangolier, is a melee agility hero and one of the newest additions to the Dota 2 hero roster. He is designed around his signature ability Swashbuckle, which causes him to attack rapidly in a straight line. Upon cast, Swashbuckle makes Pangolier perform four slashes in front of him, which deal bonus damage in addition to his regular attack damage. On-hit effects such as Bash from Basher/Abyssal Blade, the minibash from Monkey King Bar, the damage proc from Javelin, and more. This allows Pangolier to quickly tear apart soft targets, especially if luck is on his side. It isn’t uncommon to see support heroes blow up instantly after getting hit by Swashbuckle, which can give Pangolier’s team an instant advantage in a teamfight. Swashbuckle is unique in that it is one of the very few “vector target” spells in the game, which means that it is cast by clicking and dragging rather than simply clicking once at a target point or unit. This takes some practice to master, and incorrect usage can quickly lead to Pangolier’s untimely death due to poor positioning. Thus, we recommend training with this ability in practice lobbies before playing real matches with Pangolier. His passive ability Lucky Shot synergizes with Swashbuckle, as it is an on-hit effect. Lucky Shot gives Pangolier a 20 percent chance to slow enemy units by 40 percent, and a 50/50 chance to apply either a silence or a disarm effect. Because Swashbuckle hits four times, the chances of Lucky Shot triggering on multiple targets is quite high, and both of the random effects can be devastating to certain heroes. Complementing the aforementioned abilities is Shield Crash, which causes Pangolier to leap and stomp the ground beneath him for moderate magic damage. In addition, he receives a damage reduction buff, which gets stronger with every enemy hero that he manages to land Shield Crash on. Essentially, Shield Crash allows Pangolier to stay within the thick of things in large-scale engagements, especially if he is able to catch multiple heroes with it. The magic damage is also a nice touch, helping to soften up potential targets while the rest of his team follows up. His ultimate ability, called Rolling Thunder, is another one of those really quirky and unique spells. After taking 1.2 seconds to curl into a ball, Pangolier begins rolling forward, moving at an increased speed and stunning enemy units he comes into contact with. Also, he is immune to magic while this ability is active, though he does have a drastically reduced turn rate. Should Pangolier collide with a wall or a cliff during this time, he doubles back in the opposite direction. Pangolier can end the ability at any time, by using the Stop Rolling sub-ability. In addition, he can use Shield Crash while rolling, which causes him to jump in a forward arc. In certain situations, this can be used to scale walls and cliffs alike, thus allowing Pangolier to escape using specific parts of the map. Pangolier’s most common role is that of the damage dealing and space creating offlaner, with a serious potential to transition into a harder core role given enough farm. Swashbuckle and Lucky Shot can be very disruptive in teamfights, while Shield Crash allows him to tank incoming hits with ease. Rolling Thunder can also be used as an initiation tool, as he is perfectly safe from spells throughout the duration. However, he does have a few shortcomings to take note of. His fragility in the early game is a big liability, having no methods of sustaining himself in lane other than with restoratives and regeneration items. He is also vulnerable to stuns and disables, particularly during the roll-up animation of Rolling Thunder. His low mana pool is also a big concern in the laning phase, due to his low base intelligence and growth thereof per level. As mentioned in the intro to this guide, Pangolier is typically played in the offlane as a mid game initiator. This is due to the immense power spike he experiences upon hitting Level 6, which is when Rolling Thunder comes online. In order to get there, however, he has to survive the offlane first. In order to do so, maxing out Shield Crash first is the key. This is to maximize its damage mitigation mechanic as soon as possible, which is important for warding off the inevitable gank and tower dive attempts that the enemy team will be throwing at you. Not to mention that it is actually reasonably cheap for an area of effect nuke, which helps you farm creep waves with relative ease. A single value point in Swashbuckle as well as in Lucky Shot allow you to poke and prod at your lane opponents, annoying them with the negative effects from the latter. Speaking of Swashbuckle, we recommend giving it second priority after Shield Crash, so that you can dish out some nice damage when you start roaming the map for kills in the mid game. Lucky Shot will come afterwards, since it does become a lot more effective upon acquiring more attack speed later in the game. Make sure to take Rolling Thunder at every opportunity, in order to maximize the damage and stun duration as soon as possible. For the most part, Pangolier’s item build revolves around making the most out of Swashbuckle—particularly the part where it applies on-hit effects on impact. As one of the most potentially devastating physical damage abilities in the game, it would simply be a waste not to maximize what Swashbuckle can do. Before that, however, Pangolier needs to shore up his early game mana issues. Enter Arcane Boots, which serves as a mana battery for both you and your teammates. Considering that Pangolier has a kit full of low-cooldown abilities, having the extra mana from Arcane Boots means that he can use these skills earlier and more often. Once that’s out of the way, you can move on to building your core items. We recommend buying some Javelins to start with, as the 100 damage proc is actually quite nice when paired with Swashbuckle. The cost of one Javelin is also very low, which is a godsend when playing the third position on the team. Later on, you can opt to build Monkey King Bar from one of your Javelins, which can come in handy when facing evasive heroes like Phantom Assassin. Another good choice when it comes to mid game damage items is Diffusal Blade. Assuming all four of your Swashbuckle hits connect with an enemy hero, that hero immediately loses 200 mana in total. Against certain heroes, this loss of mana can be devastating, preventing them from casting their spells. The slow also comes in handy, especially against heroes that don’t have natural escape mechanisms. Against heroes that do have escape abilities, though, Basher might be a better choice. Essentially, Swashbuckle makes it so that you have four separate chances to stun them, which can help the rest of your team follow up for additional disables or damage. Moreover, Basher can be combined with Vanguard (another solid item for Pangolier) in order to build Abyssal Blade for the late game. From there, it’s just a matter of picking the right attack modifiers for the situation at hand, or building into protective items like Linken’s Sphere or Black King Bar. Mjollnir can help loads versus illusion-heavy heroes, and so does Battle Fury. Eye of Skadi allows you to slow down enemy heroes from a respectable distance thanks to Swashbuckle, while also providing you with a heap of extra stats. Knowing which ability to use first in a teamfight as Pangolier is tricky, and really depends on the specifics of the situation. In general, you’ll want to initiate engagements with Rolling Thunder, forcing enemy heroes to get out of the way or get stunned instead. Moreover, Rolling Thunder keeps you safe from spells, which is always great regardless of which hero you’re playing. That said, we highly suggest casting Rolling Thunder out of the enemy team’s field of vision, or at least at a safe enough distance that you won’t be silenced or disabled before the initial wind-up animation finishes. Otherwise, you might just end up wasting your time—or worse, dead before you can even contribute. Once you’re in Rolling Thunder, your goal is of course to hit as many enemy heroes with it as possible, using Shield Crash to apply additional damage or to get over obstacles such as walls or cliffs. If necessary, you can end Rolling Thunder early in order to cast Swashbuckle. More often than not, this combo should be enough to severely wound at least one squishy target in the backline, which gives your team an edge in the battle. Rinse and repeat for both Swashbuckle and Shield Crash as they come off cooldown, to clean up the rest of the enemy team. Due to his ability-focused design and nature, Pangolier is another hero that doesn’t particularly like going up against silence effects. Without access to his abilities, Pangolier becomes a sitting duck, capable only of applying the slow, disarm, and silence from Lucky Shot with his regular attack. 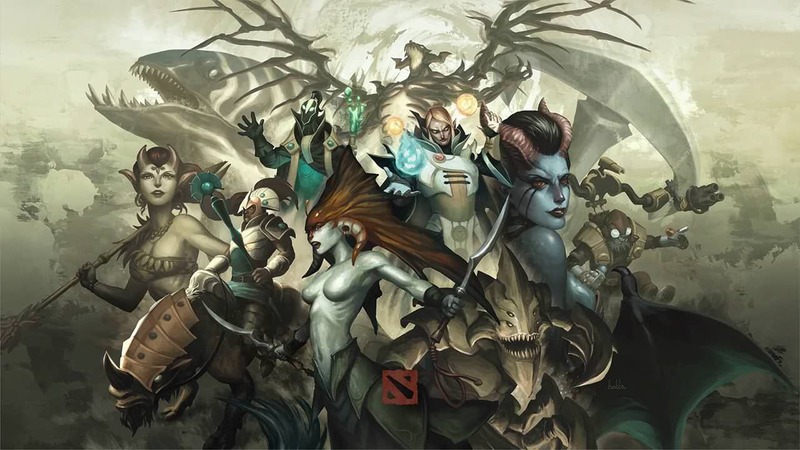 Thus, we suggest picking heroes like Night Stalker, Silencer, Bloodseeker, and the like. Do note that some of these heroes cannot silence him while he is already in Rolling Thunder, though. Mobile heroes like Anti-Mage, Queen of Pain, Faceless Void, and Storm Spirit also give him trouble, particularly during Rolling Thunder. These heroes can simply get out of the way with their respective movement abilities, thus avoiding the damage and stun from Rolling Thunder. Special mention goes to Centaur Warrunner in this case, who can use Stampede to give his entire team the movement speed necessary to outrun Pangolier during his ultimate. Picks that have abilities that pierce Rolling Thunder’s magic immunity, such as Doom, Axe, Beastmaster, and Pudge, can all put a stop to Pangolier’s shenanigans with the right timing and positioning. Beastmaster also has scouting potential from his hawk summon, which can detect Pangolier through fog of war if he tries to initiate with his ultimate.